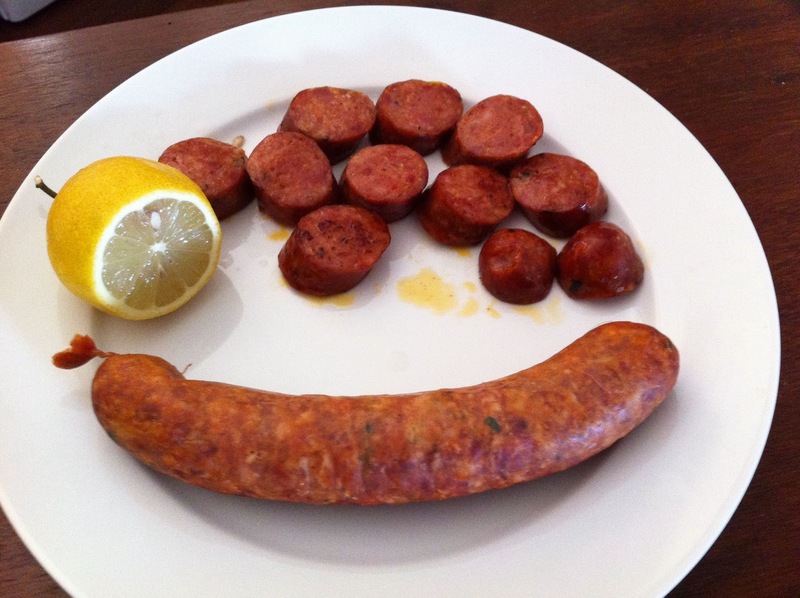 Where in Perth could you find Polish sausage, Bratwurst, Chorizo, Weisswurst or even Krakawurst, all in the one place? They might even have knockwurst. Dubrovnik Butchers, of course. On Railway Parade, near the corner of Grand Promenade, in Inglewood. It's just across the road from the Meltham train stop. Of course, it's more than just wursts and sausages. German spec? Tick. Smoked pork hocks? Tick. I was driving past it the other day and couldn't pass up the opportunity to pop in and have a browse around. The chaps behind the counter are always friendly and helpful. Of course, it helps not to go in on a Saturday when it's a veritable feeding frenzy. Weekday visits are much more serene. It shuts at 5pm on weekdays, and I think 12 noon on Saturdays. I bought a few lengths of the award winning smoked chorizo, and man it is tasty. You can eat it straight off the bat, or pan fried. I am a fan of pan-fried chorizo drizzled with lemon juice - preferably fresh-picked from the neighbour's tree (no they don't know so don't tell them). Do yourself a favour. Next time you're in the neighbourhood, pop into Dubrovnik Butchers, and buy yourself a tasty cured treat. In fact, now is the right time to indulge in sausages, in celebration of Oktoberfest. Get yourself a bunch of German sausages, cook them up, have a few friends over, and drink lots of German wheat beer! Pan fried chorizo is my favorite also. It tastes great when serve with mayo garlic sauce or tamarind sweet and sour sauce. I found this combo so much mouth watering.